An MOU has been signed between Dr. D.Y. Patil Dental College & Hospital, Dr. D.Y. 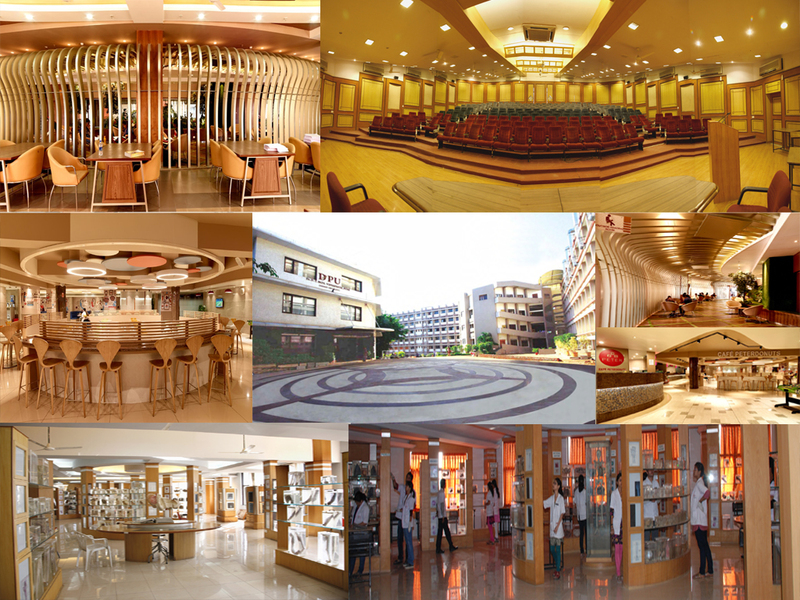 Patil Vidyapeeth, Pune & Faculty of Dentistry, Thammasat University on August 20, 2013 for Collaborative Research, Faculty Exchange & Student Exchange in the areas of Dentistry. Prof. Dr. D. Gopalakrishnan - Director Research & Collaborations - Dr. D.Y. Patil Vidyapeeth, Pune and Prof. Dr. Sittichai Koontongkaew - Dean - Faculty of Dentistry - Thammasat University, Thailand with his Faculty at the memorable occasion of signing the MoU. 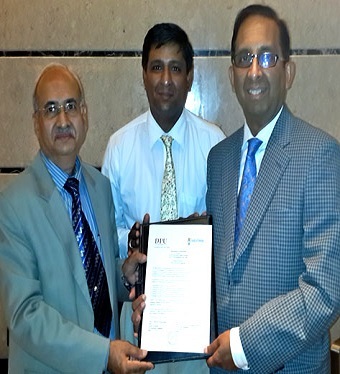 An MOU has been signed between Dr. D. Y. Patil Dental College & Hospital, Dr. D. Y. Patil Vidyapeeth, Pune & Faculty of Dentistry, Hongkong University on August 06, 2013 for Collaborative Research, Faculty Exchange & Student Exchange in the areas of Dentistry". Our institution has been identified by the Dental Council of India as one of the four collaborating institutions in the MOU, entered into by Dental Council of India with the Goldman School of Dental Medicine, Boston University, Boston, USA. Graduate Student Research: BUSDM faculty will serve as co-mentors with Participating Dental School faculty for graduate students at the Participating Dental Schools with respect to their clinical Research projects and will collaborate in resulting publications as appropriate. Online Access to Medical Library: Students and staff at the established Clinical Research Centers will be afforded access to the Boston University Medical Center Medical Library on-line for research, training, and scholarship purposes. Clinical Research Protocols: BUSDM will provide advice in the design execution and performance of clinical research protocols for multi-center studies based on experience at the BUSDM Clinical Research Center. Site Visits: To facilitate the provision of the foregoing, BUSDM faculty with conduct site visits to the Participating Dental schools at mutually convenient times. We had a workshop on 5th and 6th February 2007 when representatives from Boston University attended our college. The Symposium was attended on 'GLOBAL VOICE IN IMPLANTOLOGY, MICROSURGERY & PERIODONTOLOGY' by Joint Venture of Goldman School of Dental Medicine Boston University, Boston, USA and Clinical Research Center, Dr. D. Y. Patil Dental College, Pimpri, Pune - 18. Our Implant department started functioning from 5th February 2007. Students and Faculty exchange are in progress.